Create your own Xerox Phaser 6500 color toner pack / bundle with our flexible quantity discount pricing. Mix and match products so you are only purchasing what you need, but also maximizing your savings. Remanufactured Cyan Toner Cartridge with 3,000 high capacity page yield. Equivalent to Xerox part number: 106R01594. Fits the following model(s): Xerox 6500, Xerox 6500DN, Xerox 6500N. Remanufactured Magenta Toner Cartridge with 3,000 high capacity page yield. 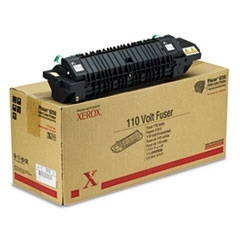 Equivalent to Xerox part number: 106R01595. 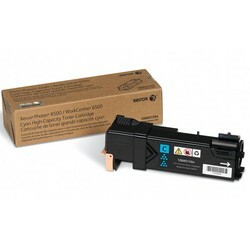 Fits the following model(s): Xerox 6500, Xerox 6500DN, Xerox 6500N. Remanufactured Yellow Toner Cartridge with 3,000 high capacity page yield. Equivalent to Xerox part number: 106R01596. Fits the following model(s): Xerox 6500, Xerox 6500DN, Xerox 6500N. 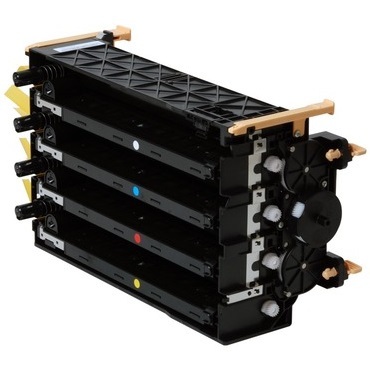 Remanufactured Black Toner Cartridge with 3,000 high capacity page yield. Equivalent to Xerox part number: 106R01597. Fits the following model(s): Xerox 6500, Xerox 6500DN, Xerox 6500N. Buy our high quality compatible toner for Xerox Phaser 6500 with confidence. Join thousands of happy customers who have found our compatible products are equivalent in page yield and print quality. For our compatible products, we offer a 100% Satisfaction Guarantee allowing you to return products within 6 months if you are unsatisfied. With the Xerox Phaser 6500, users can expect an affordable, sturdy design capable of producing professional output quality at rates that won't hinder productivity. For its asking price, speeds of up to 23 pages per minute for both text and graphics are well above expectations. To add flexibility, users can purchase additional models, the 6500N and 6500DN, which both have built-in networking and a duplex unit for double-sided printing in the "DN" version. Expert reviewers have made mention of its expensive toners, so those offices with higher volumes may have trouble keeping prices reasonable. Other than costs, there are many elements to appreciate including a quick startup and preinstalled Xerox 6500 toner cartridges, media handling that can be expanded from 250 pages to a maximum of 500 sheets, and a relatively small footprint for desktop use. For output tests, projects showed solid detail and accuracy, printing at a maximum resolution of 600x600 dpi using black and color Phaser 6500 printer toner. The built-in LCD display can help keep projects on track, monitoring progress and even keeping users notified of Xerox 6500 toner levels and other information like error messages. With high-quality output, useful management capabilities and a maximum monthly duty cycle of 40,000 pages, the laser device should benefit medium sized offices. Users have options for both high-capacity and standard replacements for color Xerox 6500 toner cartridges, the larger producing up to 2,500 pages. 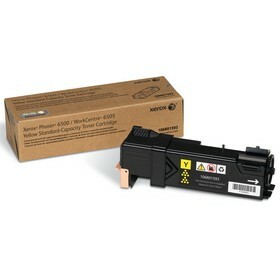 Only one replacement is available for the black Phaser 6500 toner and it has a capacity of around 3,000 pages. These fairly high yields and expected running costs will be best for low and medium volumes, otherwise, it could get expensive to operate. 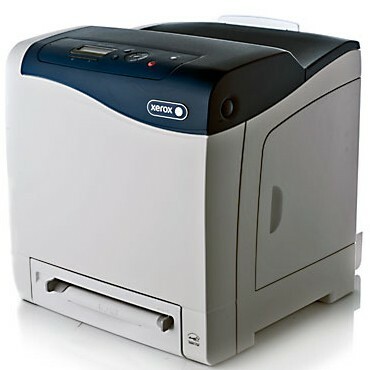 Although this color laser printer can be pricey to use, there are many benefits to consider, like its ability to produce excellent quality color and monochrome projects and its expandable media handling. 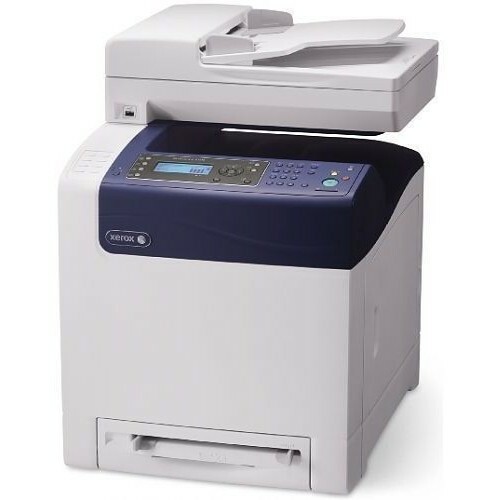 Combined with convenient management features and quick speeds, the 6500 is recommended for small or medium offices, as long as its costs aren't too much of an issue.